 A BEAUTIFULLY DESIGNED, EASY TO USE WEBSITE WITH BUILT-IN MARKETING… AND YOU NAME THE PRICE! One beautifully designed, easy to use website with built-in marketing. Oh yes…and you name the price. Yes it is as simple as it sounds…you simply go ahead and name the price you are happy to pay. Once the work is complete, if you are happy with what was delivered, then you will be invited to ‘top up’ the payment with what you feel is appropriate or leave it at the amount you paid – either way, there is zero pressure. We build all of our websites in WordPress using the revolutionary new theme from Elegant themes called Divi. Watch the video to see how Divi has transformed the way people are able to edit their websites. Our mission is to simplify your entire experience of operating and maintaining your website. WE’LL MAKE SURE YOU GET THE MOST FROM YOUR ONLINE PRESENCE. SO YOU CAN FOCUS ON GROWING YOUR BUSINESS. The websites we create are stunning to look at and a pleasure to use but that is only half the story. As marketing and growth experts we passionately believe that the websites we build for our clients should act as their own dedicated marketing machine and play a key role in the success of their businesses. Built into each website are integrations with email marketing software, links to all of your social media accounts as well as live feeds from twitter and social share buttons so that your visitors can spread the word about your wonderful company. All of our websites are built using WordPress and are SEO optimised so Google and the other search engines will love you. With all of these features easily accessible by you via the simple to use content management system, your new website will quickly become the central hub of all of your marketing activities. Before we start designing your new website we send you our Discovery Questionnaire which is designed to let us get to know you and your business so that we can create the perfect website for your needs. The next step is to arrange the discovery session which can be either by telephone, Skype or even at your offices. During this conversation we will discuss the different areas of your new site, taking note of any specific requirements. Now that we understand you, your business and your goals, we are able to go ahead and build your beautiful new website. Most websites are ready within 4-6 weeks depending on access to content. What happens with the hosting of my site? You would be responsible for the hosting of the site. This puts you in control and will save you a considerable amount of money. We can suggest the companies that are widely considered the best and even help you set everything up. I don't have a domain, can you help? Of course, we may even be able to get your new domain free of charge for you. What about maintenance and back-ups? Whilst there are no moving parts on a website, and therefore no real reason for it to break down, there is a need to make sure that everything is up to date and secure. It will be your responsibility to make sure that your site is regularly backed up but we can install free backup software for your site which will take care of that. (If required you can talk to us about companies that cover backup and general maintenance from as little as £30 per month). Are you able to help if I need additional development work on my website? We are always looking to develop an ongoing relationship with our clients. We will be available to suggest improvements and additions and to carry out further developments that will keep your website cutting-edge and working as hard as possible for you. The great thing about your new website is that it is built on WordPress which means it will be easy to keep relevant and up-to-date in the future. GET OUR FREE GUIDE ON THE TIME-SAVING TOOLS THAT CAN FINALLY SEE YOU GETTING SOME RETURNS FOR YOUR SOCIAL MEDIA EFFORTS..